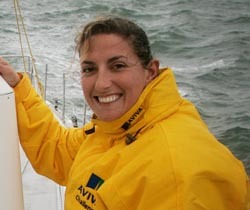 Marine footwear specialist Dubarry of Ireland has announced that it is to become the Official Marine Footwear Supplier to record breaking yachtswoman Dee Caffari, and the Aviva Ocean Race campaign. Although Bill Bremner’s Sydney 40 Foxy Lady III is presently leading the overall Koh Samui Regatta 07 Racing Class by posting two wins on the board, the battle for the prestigious annual 2006-07 AsianYachting Grand Prix Championships is heating up between Neil Pryde’s Farr 52OD Hi Fi and Frank Pong’s 75ft Rachel Pugh Jelik. Coming into the final event of the season both boats were tied on six points. Frank’s Jelik started with a win and has since scored 3, 5, 2 and Neil’s Hi Fi 4, 2, 2 plus a resounding win yesterday sees them two points in front with the possibility of three races to come. If a drop race is included at this stage the margin is reduced to a mere one point. 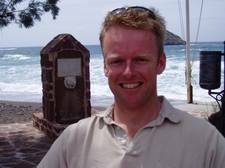 On five points coming into this regatta the Fred Kinmonth and Nick Burns owned Farr/Mills 51 Mandrake has dropped out of contention with a scoreline of 3, 7, 4, 4 which includes a race 2 disqualification that maybe reopened but they will find it hard to come back from here. Regatta, taking place this coming weekend from Saturday 2 to Monday 4 June, continues to attract a high profile entry in its three classes. The simple level racing/first past the post format used in the two big boat classes is now firmly established as a favourite with the competitors who love the simplicity and incredibly close racing the system provides. Helgoland, Germany: The 73rd North Sea Week gathered 131 yachts at the red rock island off the German coast over the Weekend and provided the whole range of changing conditions with sun, rain, strong and calm winds. 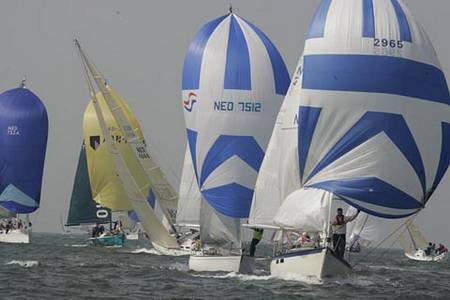 The offshore regatta started already in Hamburg on Friday to lead the competitors towards the coastal harbour Cuxhaven. Three transfer races from Cuxhaven, Wilhelmshaven and Bremerhaven towards the island of Helgoland followed on Saturday with good conditions. “UCA” gained line honours at the Cuxport Cup to Helgoland but the boat was damaged in the harbour during Sunday’s storm and had to step out of the series later. All three teams remaining in competition at the 32nd America’s Cup were on the water training on Wednesday afternoon. The two Luna Rossa Challenge boats sailed together, while Emirates Team New Zealand and Alinghi had two races against each other. Women sailors from two US Olympic campaigns have joined forces to compete in the BoatU.S. 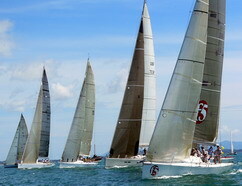 Santa Maria Cup Women’s Match Race Championship which starts today at the Eastport Yacht Club in Annapolis, Md. Ten international crews are racing in the four-day event. 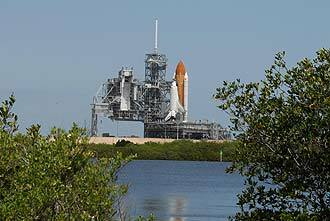 At Launch Pad 39A, operations are proceeding on schedule for a June 8 launch of Space Shuttle Atlantis on mission STS-117. The hypergolic propellants were loaded into the orbiter and solid rocket boosters in the past week. Spacesuits 1 and 2 were installed in the orbiter airlock for use during spacewalks planned for the mission. Aussie PRO Tony Denham must have a lucky charm hidden away somewhere. Each day the start boat has motored in the direction of the course he would like to set, then low and behold around the 10:00am start time a favorable breeze has sprung up and the fleet sent merrily on its way. The same happened today as coastal Course 7 (22nm) for IRC 1, 2 and Multihull classes and Course 8 (30nm) for the racing class to the south of Samui was chosen for today’s racing. The fifteen mile leg to Ko Rap turned into a windward beat with some big swings favouring the boats inshore. The return leg started as a close reach and ended on a broader angle to the finish which advantaged the long waterline vessels and gave everyone an exhilarating ride.